Start Your Rewarding Design Career Today! Q. What does a Home Stager do? A. A Home Stager designs interiors of homes that are for sale so that they sell faster and for more money. 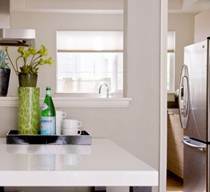 You can also re-design homes that people live in, giving them a fresh new look. Q. How does Interior Design differ from Home Staging? Home Staging is the art of cosmetic decoration in a home that is for sale so that it sells faster and for more money. In addition to covering every aspect of running a Home Staging business, The Advanced Certified Home Staging course positions you as the expert in knowing how to transform these properties into dream homes for the sole purpose of facilitating a more profitable and timely real estate sale. Clients for this industry include real estate agents, home sellers, investors and model homes and redesign clients (re-purposing what a home owner already has to create a new look). The Home Staging Certificate covers everything from consulting, to redesign, to staging vacant homes. Interior Design incorporates smart function combined with a lifestyle aesthetic and clients include almost every adult in your service area from home owners and renters to businesses.. While Home Staging concentrates on temporary cosmetic changes for the purpose of sale, Interior Design is a permanent and potentially life changing transformation for clients. For individuals who love working with custom colors, pattern, fabric, tile and the cohesive incorporation of these materials, along with the furnishings and accessory selection, Interior Design is for you! The Interior Design Certificate with The Academy covers everything from simple interior decorating to complete home renovations. Q. Can anyone become a Home Stager? A. Yes! Of Course! A variety of different people are becoming certified Home Stagers every day. This is a ground floor opportunity with little competition in most of the country. For those of you who are creative and have an eye for design and color, you’ll feel right at home. Q. Are people really making money in this field? A. Yes. And many are extremely successful (Like Me) and others are making an incredible supplemental income. There are many households as well as homes on the market with a dire need for Home Staging. According to the National Association of Realtors, 25% of homes are now being staged compared to only 5% a few years ago. Q. What is a realistic amount of income to earn in a year for a Home Stager? A. The sky is the limit and many dedicated Home Stagers earn upwards of 6 figures a year by their 5th year in business. On average, Home Stagers around the nation charge $75-$150/hr and earn 50K- $100K/yr. People with a great reputation who have consistently grown their business, report earning more than 500k a year in revenue in larger cities across the US in 5-10 years of business. Q. What is a realistic amount of income to earn in a year for an Interior Designer? A. Interior Designers have a multitude of ways in which they are able to charge for their expertise including charging for their time and earning mark-ups on products and services. Just 1 client could amass more than $50k profit on a large design project while smaller projects might yield less than few thousand. At The Academy, we teach you how to attract your ideal projects and maximize profits on every job while delivering results that feel like a million bucks! Q. Do I need previous experience to become a Home Stager or Interior Designer? A. No. We assume that all of our students come to us for the most complete training available in the industry. The Academy’s programs start with Certified Instructors mentoring you step by step through advanced design and business strategies all the way to the end. And it doesn’t stop there. Our hands-on training helps develop advanced design and business skill-sets critical to your success. In addition, in The Academy programs, you receive a business cd with contracts, proposals, job worksheets and your perspective designation logo that establishes your credibility in your industry. Q. Is Home Staging or Interior Design expensive businesses to start? A. No. You can start your new design business with very little start-up costs working right from home! Most people already have the basic tools they need to get started like computer, email, phone, vehicle, basic tool kit and camera. What you will need in addition is: a business name, depending on where you live possibly a business license, website and business card. Included with your tuition is our business cd with contracts, proposals, job worksheets and ready to print advertising samples saving you hundreds of hours and dollars, allowing you the time to focus on your business and start designing right away. If you are starting a Home Staging business, you will learn how to utilize rental companies to maximize your profits in the early stages of your business so that very little staging inventory is required. Q. Is it advantageous to take both courses? A. Yes! It is extremely advantageous to take both courses for a variety of reasons. For one, Home Stagers that have Interior Design training are able to help the homes new owners create a stylish and functional design plan for the staged home they just purchased. Seeing your ability to create beautiful spaces entices the new home owners to seek out your professional help to recreate the magic in a way that works for their family. By the same token, home owners who have utilized your talents in designing their home, can contact you when it is time to stage it to sell. More importantly, many home owners believe that Home Stagers with additional design training must have more expertise when staging their home, although in most situations this belief is unfounded. In either case, offering both services offers the opportunity to thrive in any economy as Home Staging becomes more in demand during declining and rebounding economies and Interior Design is more in demand during stable economies. Q. Do I need to be Certified to start a Home Staging business? A. No. There are no Home Staging police who will come knocking on your door if you operate without Certification. However, most people recognize that to be viewed as reputable and credible by the Real Estate community who will be recommending Stagers to their clientele, that it is best to have every advantage in their corner when starting a Professional Home Staging Design Business. Our Certified Instructors are leaders in the Home Staging industry and coach and mentor you every step of the way including over 10 hands-on and field exercises. The Advanced Home Stager Certification is the most complete and advanced training available and the AHSC designation is good anywhere in the world. Not sold yet? How much does little or no education cost you in the long run of building your business? How this Course Pays for Itself - Add $20,000 more a year to your bottom line when you utilize the trade secrets revealed in my course. Learn from experience! Save thousands when you learn the 30+ ways to advertise and market your business for little or no money .... including getting on the first page of Google! Learn the insurance secret that cost me almost $5,000 my first year and a half in business. Discover the little known trade secret that can boost your income 10k or more every year. Once you learn a skill, that knowledge continues to build and transform into new ideas, career directions and experiences for a lifetime. In this course, you will discover over 30 additional creative design services you can offer once you have learned the design concepts taught in our Certified Home Staging course. Q. How long does The Academy of Home Staging Advanced Certification course take? A. The Academy of Home Staging course runs 5-6 days concurrently so you are fast-tracked into your new business as quickly as possible. Our 6 day courses offer additional areas of study and some with dual designations being offered. Q. Is a 5 day course more effective than a 3 day course? A. If you’re main interest in taking a Home Staging Course is more for fun and a hobby, then a shorter course is better than not taking any course at all. But if you’re main focus is on building a successful, lucrative and thriving new Home Staging Design business with professionalism and confidence, then you will want the most education you can possibly experience. At The Academy, our shortest course is 5 days for just that reason. Our Certified Instructors are leaders in the Home Staging industry who take the time to personally coach and mentor you every step of the way through advanced design and business applications and over 10 hands-on classroom and field exercises – the most available in any Home Staging training. Our system allows you to gain real life design training and experience by working on these real homes and projects. In addition, we want you to leave our program equipped with everything you need. Upon graduation, you receive a cd with all business documents including contracts, proposals job worksheets and ready to print advertising pieces included in your tuition. This is one of the huge time savers when building a business, not only in time but in $$$ paying someone to design advertising and business documents for you. Other programs may charge a premium for these documents or not offer them at all. Also, not typically included in other programs but included in ours, is 2 months of coaching, advanced audio classes and unlimited email support included in the tuition at no cost to you and you may elect to remain in the program for just $47/month. Q. There are so many programs, how do I choose wisely? A. Although there are new programs popping up all the time, many of them are very short programs that may seem attractive due to time and fee investment. However, these programs take advantage of consumers looking to save a buck and unable to ascertain what critical pieces might be missing from the training. Due to the intricacies of building a Home Staging business, The Academy stands in integrity to only offer a minimum 5 day course to ensure students receive the most complete education in the design and business arena to be successful. There simply isn’t a way to deliver an adequate scope of skills in less time. At The Academy, you will experience over 10 hands-on class room and field exercises, side by side with your Academy Certified Instructor. At The Academy, we hand pick proven leaders in the Home Staging community to mentor and coach you every step of the way. You are able to ask questions at any time. That is because we take only 8 per class to ensure everyone has an opportunity to learn, experience and grow. Q. I already owned a business before, why would I need training to start a Home Staging Business? A. How fantastic! You will have more of an advantage than others just starting out. 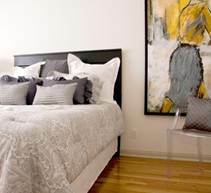 Home Staging is its own animal and quite different from other businesses. Our Certification process can save you precious time and money while gaining extensive knowledge from an industry leader. Learning what not to do, combined with insider information and strategies to building a successful Home Staging business, can exponentially earn you tens of thousands more than stumbling through the process yourself. With our 30-day to business start-up plan, and all the business documents you need to get started (included with our location training and platinum home study program), you will be on your way to earning money that much faster. Q. I am already an Interior Designer, why would I want to take training for Home Staging? A. Although Home Staging is not as complex as the Interior Design of a home, the credibility you establish with The Advanced Home Staging designation in the Real Estate world is very helpful. Most Real Estate Agents are required to continually accrue ongoing education credits, putting education at the forefront when choosing whom to refer to their clientele. In addition, some decorating decisions are not the best solutions when staging for an expedient sale. At The Academy of Home Staging, you will learn how to successfully combine principles of psychology and marketing with decorating to yield the most favorable results. Choose from either location, online or home study certification and advanced classes by clicking the courses tab on the main menu. Q. Can people learn Home Staging from an online course? A. Absolutely! Every year there are more and more classes available online. The students benefit in a multitude of ways, such as: Lower fees, total flexibility, convenience, and the ability to work at their own pace. This is why The Academy of Home Staging offers an online Home Staging Course that is our entire live-recorded training brought to the comfort of your living room tv or computer . Q. Do I have to travel to take The Academy of Home Staging Course? A. Most of our students travel in from all around the country and even from outside the country. Our one of a kind approach combines mentoring every step of the way and Academy exclusive hands-on exercises which has earned us the reputation of providing advanced design and business strategies in an easy to learn format. Many of our students compliment us on the extensive amount of information they learn and more importantly, comprehend. Our training programs are available in Los Angeles and New York. We also offer an online home study course making it possible to become Advanced Home Stager Certified from anywhere in the world. Click here for more details. Q. Do you have payment plans or financing available? A. Yes we have several options to help you achieve your goal to be designing homes as soon as possible. Option 1 - Reserve your seat with just $800 down with the remaining balance due 2 weeks prior to your training week. Option 2 - Make any payment arrangements you like so long as tuition balance is paid in full 2 weeks prior to your training week. Q. Are there any ways to save money on my tuition? A. Yes, when you and a friend both sign up for the same class, you each save $200 off your tuition or pay tuition in full more than 60 days in advance and receive a $200 discount. Only 1 discount per person. Q. Is the class tax deductible? A. Yes, you will always want to clear things with your tax adviser but the class should be tax deductible along with any expenses you incur in taking the class - your mileage or gas to and from the training location (or airfare), car rental, hotel, meals, etc. Virtually anything that is a business related expense!